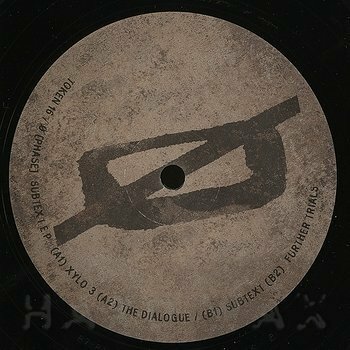 成軍20年的【Octave one 】一直是我對於底特律Techno/House範圍內擁有最佳默契的雙人組合 ! 這次的Revisited Series回顧系列,取自94年【The 'X' File】內的Dema重新表現出極簡俐落的處理手法,帶著濃厚黑人的funk節奏Groovin'味十足! Dubstep/Grime 名廠Hyperdub 掌門人Kode9眾望所歸出現在K7經典DJ-KICKS系列的混音專輯. 其紀念發行12''單曲內,找來Martyn以及Actress為其稍早前的暖身曲【You Don't Wash】作混音.荷蘭的Martyn再度將英國歌手Spaceape其低沈濃厚的dub唱腔,拆解重新安排與加入粗獷的拉丁打擊節奏與弦樂後,散發著黑暗中舞動的獨特扭曲感.繼年初的震撼彈 【Martyn - Is This Insanity? (Ben Klock Remix)】之後最讓我驚喜難忘的Martyn之作. 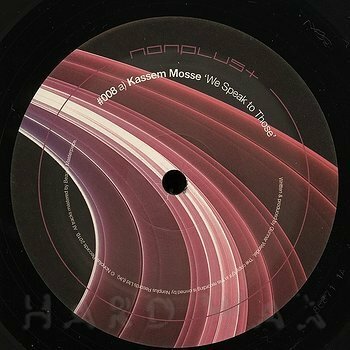 德國Raw/Deep House新起製作人Kassem Mosse轉向英國Drum'n'Bass / Dubstep 廠牌Nonplus Records發表.【We Speak To Those】極沈又重的敲擊Kick大鼓撞擊著放克bassline,非常耐人尋味!! Clone Basement Series 提供的發行絕對是最高的品質保證.之前的Mike Dehnert/A Made Up Sound都是座上嘉賓.這次同樣來自荷蘭擁有深厚Techno功力的藝人Literon 該【Storm 】強調的是走向明亮的Deep House架構,同時具有Techno般的驅動感.非常有質感的DJ TOOL曲. MIKE DEHNERT 柏林首區一指的Techno製作人/DJ,帶領目前炙手可熱的Fachwerk廠牌.繼Ben Klock後應邀在DJ DEEP的Deeply Rooted House發行【Many Roots】EP. 其中【Rootstalk】準確深沉的低音鼓聲與細微金屬音色層次感分明,讓我著迷不已. 10/23 (六) 有機派對Organik 006 Labyrinth 禁地迷宮 預售票開賣!